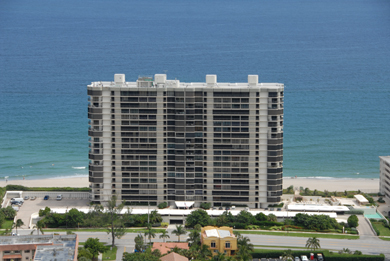 Marbella is the perfect building if you desire to be directly on the sand in Boca Raton, Florida! The tropical blue Atlantic Ocean is just steps away from this perfectly located building. There are 155 Apartments in the luxurious Marbella building featuring all the amenities you would expect from a location directly on the sand. Marbella features one and two bedroom apartments some which are newly renovated. This building also offers spectacular views with some stacks offering views of the ocean as well as Lake Boca. For a private tour of this spectacular property, Vinnie Morea, President of the Luxury Condominium Division at Mizner Grande Realty.